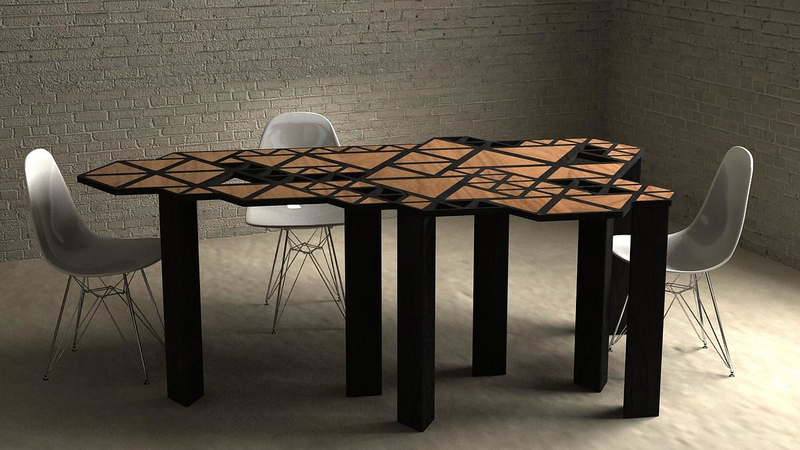 HomeBlogHome DecorSwarm Transforming Table by Natalie Goldfinger. 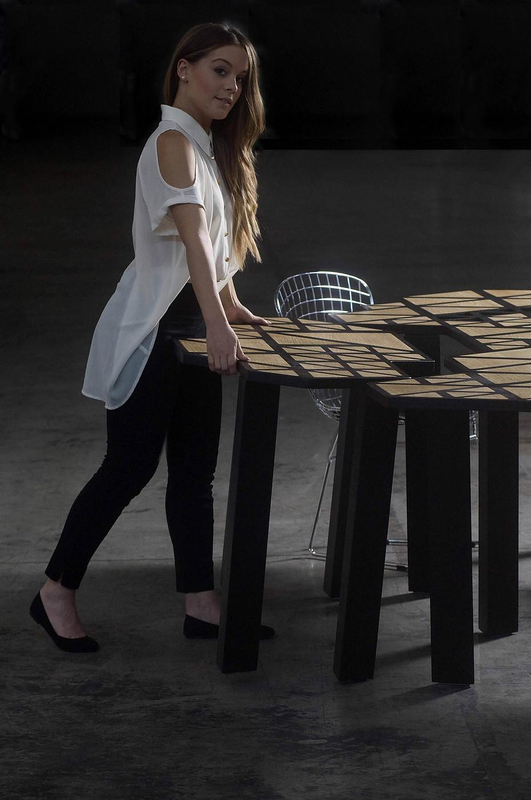 Inspired by the swarm behavior designer Natalie Goldfinger presents the Swarm Table, a modular transforming table with distinctive look combined and unique functional properties. 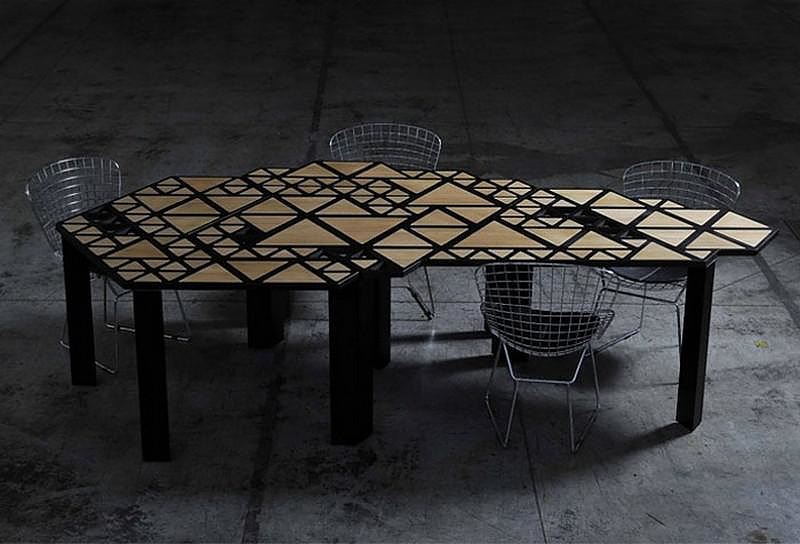 The designer captures the effect of movement and motion of a swarm by utilizing a series of interlocking black and white triangles in a range of sizes. 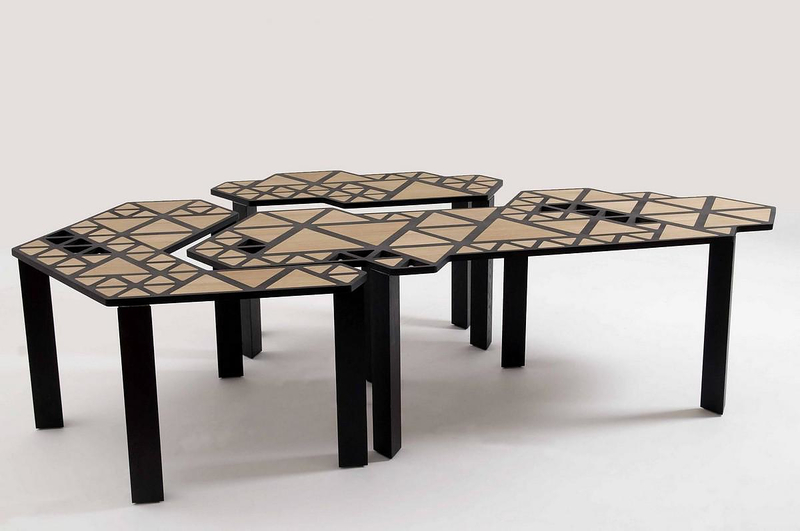 Τhe Swarm Table is made up of three elements that interlock. 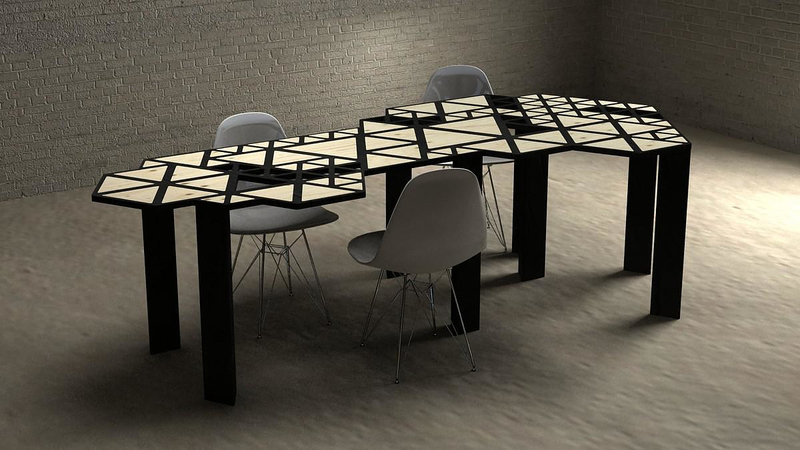 Three separate tables come together to form multiple configurations for different uses of the table. 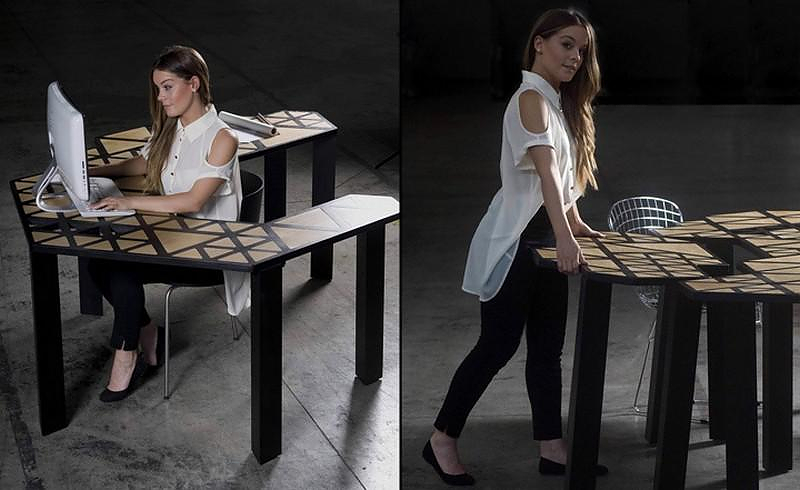 Combining a desk, a small table, and a long table provides great modularity and potential for many interesting combinations. 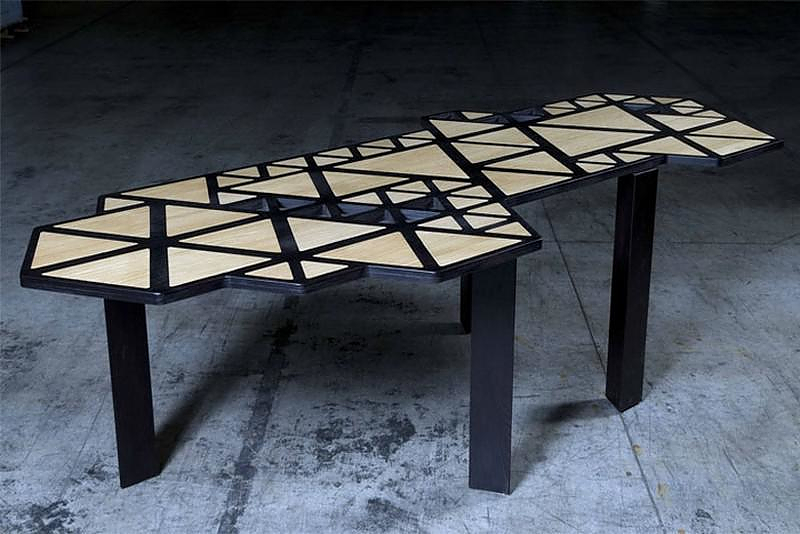 This is indeed one exceptional transforming table design. Apart from rearranging the volume and size of the table you can even remove parts of the table surface, use them as serving trays, or even leave a hole exposed for cable management, or for exposing other objects standing below the table, such a floor standing lighting fixture. Swarm behavior is the collective motion of a large number of self-propelled entities. It is an emergent behavior arising from simple rules that are followed by individuals and does not involve any central coordination. 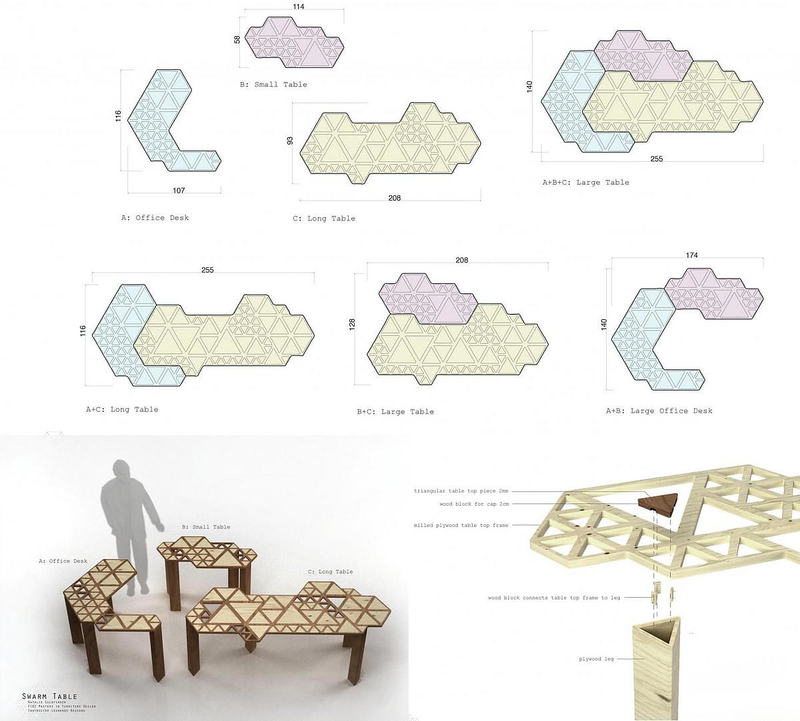 This project uses swarm behavior to generate a pattern of geometry in order to create a frame for a table top. 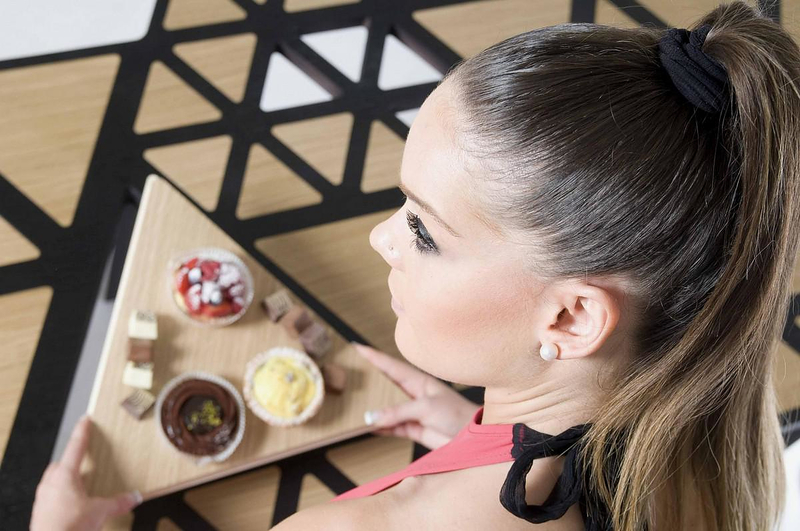 The legs extrude down from the top, in harmony with its strong geometry. 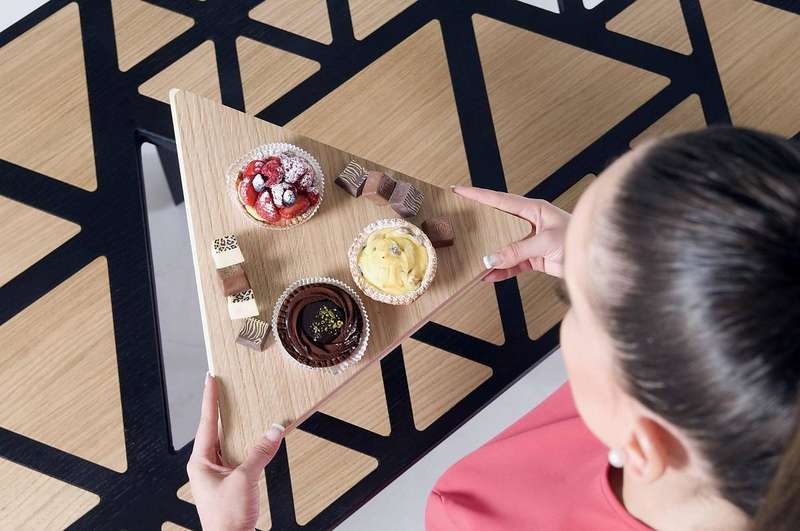 The frame is a milled piece of plywood, with 2mm wood triangular inserts, that rest in the holes of the frame, flush with the surface. 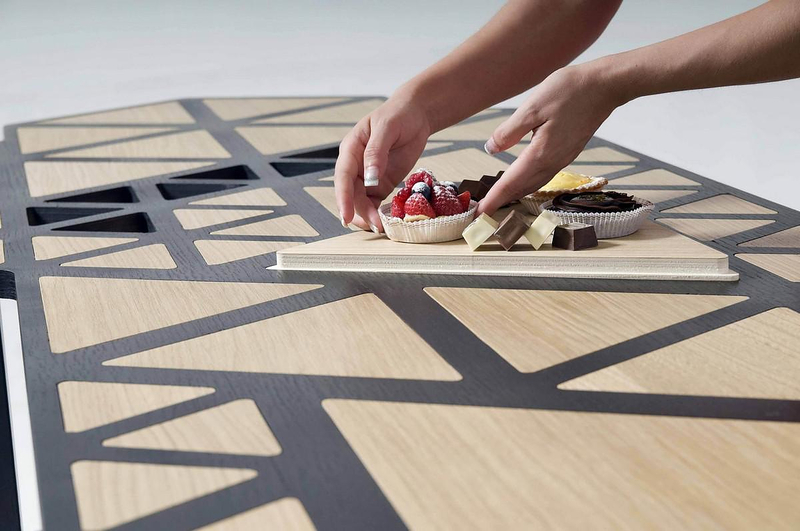 The absence of certain triangular pieces gives another function to the table, where wires and electricals can be tucked away underneath. 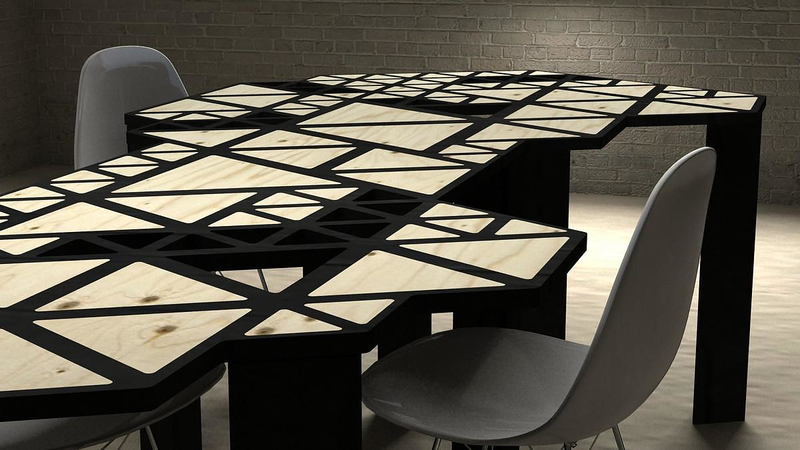 Natalie Goldfinger is dedicated to creating smart and sustainable design. Over the years, she have been developing her personal design process. She works with different materials, and extracts inspiration and understanding by working with her hands. 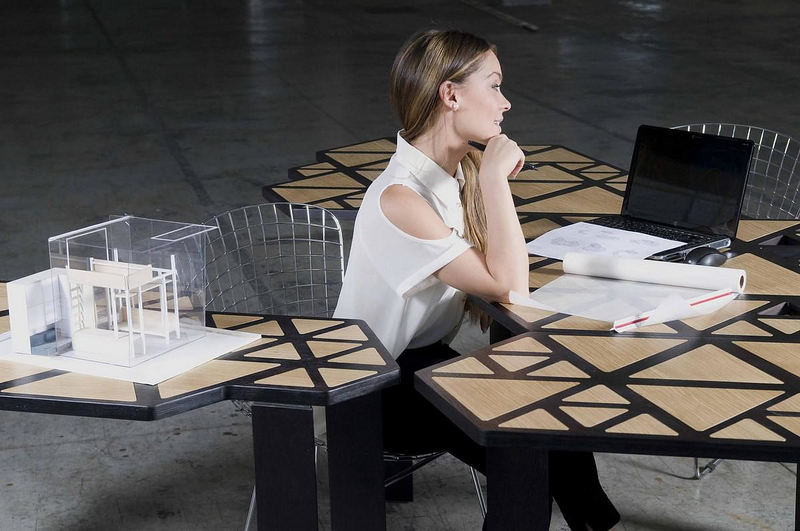 Her passion lies in design and fabrication. Her designs are inspired by geometry, simplicity, the human body, systems in nature, and the universe. “For me, the design process is closely related to personal growth.” she says.